PDF Download - A Rose by Any Other Name Would Smell as Sweet. 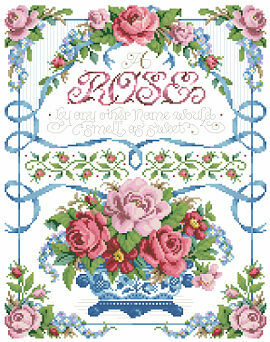 Fragrant Sweetheart roses adorn this lovely sampler. Ribbons and roses are a perfect match for filling out the borders and corners of this delightful design.